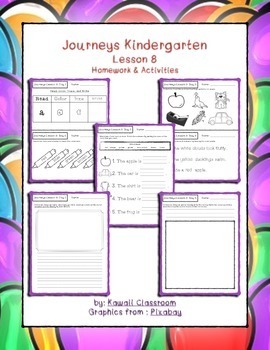 This packet is aligned to Journeys Kindergarten Lesson 8. The pages for days 1-4 are half pages and the 5th day is a whole page. 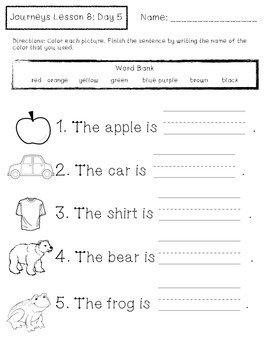 I've also included two extra pages for classwork. 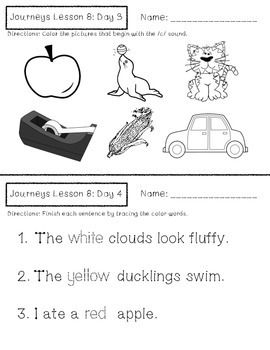 One page is for students to draw and write a response to the text of the week and the other is for students to draw an animal and write an action word to describe how it moves. 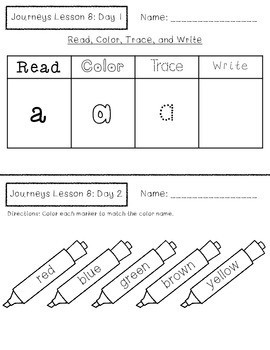 You can use these as homework or classwork to reinforce what you are teaching in reading and writing time. Let me know if there is anything you would like and I'll try to make it for you!